Tickets include priority seating at Universal CityWalk™ restaurants and FREE ADMISSION** to select CityWalk™ clubs. The show lasts around 1 hour and 45 minutes. 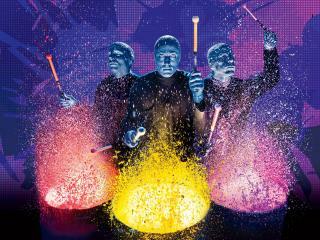 The Blue Man Group Theatre is broken down into 2 main sections - Tier 1 and Tier 2 Seats are allocated on a 'best seat available' basis and the majority of Blue Man Group tickets will be in the Tier 1 category. Late seating is entirely at the management's discretion.